Thanks to money flowing from Nashville, Canadian Christian music is flourishing. Canada's Ben Forrest files this report. Cuba has its cigars, Japan its electronics, and China...just about everything else. Canada, whose history boasts more than 13 Nobel Prize winners, half of the creative talent behind Superman and pop, rock and country superstars Celine Dion, Nickelback and Shania Twain, clearly has an amazing amount of creative resource. But just as no prophet is accepted in his hometown, rarely is a celebrity-to-be embraced above 49o latitude before he makes it below. "Unfortunately, it is true that you don't get noticed in Canada until you've created a name for yourself in the US," says Greg Magirescu, one of the country's leading songwriters. "Much of my songwriting success [in Canada] comes from my efforts in Nashville, and even with that, it's still hard to get anyone to know who I am here at home." It's a common problem. Jim Carrey, a Man of the North, and, for a time, one of the darlings of Hollywood, was nobody in Canada until he made it big with Ace Ventura while Shania Twain, of Timmins, Ontario, was a singer in Top 40 cover bands before moving to the States and changing her name (she's now one of country music's biggest players, has sold over 28 million records and is the pride of northern Ontario). Christian musicians are no exception. Although veteran singer/songwriter Bruce Cockburn has made a successful international career, many Christian artists have moved to Nashville and most who stay behind haven't been able to give up their day jobs. "There are some incredibly gifted writers and performers in Canada," says Magirescu, "many of whom you'll never hear of because we don't have the radio and retail infrastructure that the US has." Although not as pitifully scarce as in Britain Canada, too, has few Christian radio and TV stations, For most artists, moving to the US often means transferring to a more receptive environment. "Population is only partly an issue [in Canada, because] there is certainly enough population in most Canadian markets to support at least one religious television station," says Shane Neufeld, executive producer of Intune, a television show that plays contemporary Christian videos. "Launching and running television stations is an expensive endeavour and Americans seem to have much more ability to find people who are willing to risk money to launch these things. In addition, the percentage of people who claim any sort of religious affiliation is much lower in Canada than the US where there can be up to six Christian media outlets in a single market." Asked to come up with something Cross Rhythms readers likely don't know about Canada, singer/songwriter Riley Armstrong gives a somewhat quirky answer. The first and third are relatively commonplace. "One of the biggest illegal exports [from Canada] to the USA is large volume toilets," he says. "They flush with much more water, but too much according to US standards, thus making them a hot commodity." If you learn nothing else today, remember that Canada is a hotbed for contraband porcelain flushables. Though he now resides in Nashville (home of the low-flow toilet), Armstrong got plenty of use out of Canadian bathroom accessories while growing up on a farm near the small town of Dapp, Alberta. "I am very grateful that I have that heritage," he says. "Growing up on the farm made me exercise my creativity more. There wasn't a whole lot to do unless you invented it." Armstrong's innovations were largely of a musical kind, something that led him to the big city (Vancouver, British Columbia) in search of a degree in sound recording. "I always wanted to sing," he says. "The sound recording training I took was merely to find an avenue to make my own music." The strategy appears to have worked. Armstrong is signed to Flicker Records, a young but growing label started by Audio Adrenaline members Mark Stuart and Bob Herdman. With two albums and a growing fan base under his belt, he has the career he's always wanted. But the college training has not gone to waste. "Some people think I'm a control freak the way I engineer, produce, write and even sometimes mix my own stuff. I just think it's fun." While Armstrong's sound was once described as a cross between Steven Curtis Chapman and Beck, the singer says his second album is something altogether different, with obvious signs of musical growth. "First, it's much more band-oriented," he says. "The acoustic guitar is still the primary instrument, and there are [fewer] obscure instruments. But I put a lot more weight this time in the actual idea of the song and the syncopation of the melody, making for what I feel are much stronger songs." His new album, 'Whatever The Weather', is available now in the UK. "Modern worship" has reached virtually every orifice of the known world, so it should be of no surprise that the craze has reached Canada as well. While well known worship leaders are a scarce breed north of the 49th, Nova Scotia native Matt Brouwer is among the most noteworthy. "I really hate feeling that I'm following trends," he says, leery of the labels that come with his profession nowadays. "Now that worship music is so popular, it may seem like I'm one of the clones of Sonicflood or Delirious?, but when I started doing this, it really was more about going against the flow of what was popular or showy." Born the sixth of seven children and raised on a dairy farm, Brouwer grew up singing and playing music. "Going pro" was a natural progression. "[I was] singing and creating music almost before I could talk," he says. "I always just wanted to be a musician, period, but as God got a hold on my life it became very evident that leading worship was where he was leading me. I know that is the call on my life." The door to professional music making began to open during his time at Prairie Bible College in Alberta. Brouwer and some friends began holding weekly worship gatherings called Monday Night Worship. The event name eventually became the moniker for the band that led them. 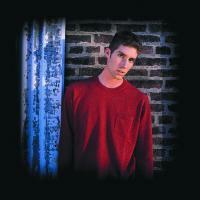 By the time Brouwer graduated, the band was touring and by 1999 had produced two highly acclaimed CDs. Reunion Records, home to Michael W Smith and Joy Williams, soon offered Brouwer a solo contract, which he accepted with full support from MNW. 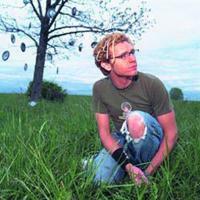 Brouwer's debut CD, 'Imagerical', was released in 2001, spawned two top 10 US singles and was hailed by some as "the next step for the modern worship movement." The ride since then has been phenomenal. Brouwer was nominated for two of Canadian CCM's "people's choice" awards (called Vibes), was nominated for a Juno (the Canadian equivalent of a Grammy) and made several top 10 lists. While 'Imagerical' may have been a misrepresentation of Brouwer's true style ("My last CD turned out to be more pop than I had expected because the guy who produced it is just really good at that production style," he says. "And Reunion wanted something that radio would embrace. "), its success has established him as one of the most promising up and comers of any nationality. Brouwer has left Reunion, and at press time was in negotiations for another contract. Though it has become cliche, and something that every band wants to lay claim to, some groups simply can't be pigeon-holed into convenient "rock," "pop" or "hip hop"-sized boxes. Toronto-based Thousand Foot Krutch is such a band. Comprised of lead vocalist/guitarist Trevor McNevan, lead guitarist Dave Smith, bassist Joel Bruyere and drummer Steve Agustine, Krutch has influences from across the musical spectrum. "We appreciate pretty much everything," says McNevan. "We love hip hop, R&B, reggae, hard rock, mellow rock, folk, jazz...you name it, we like it." After perusing his record collection, McNevan tosses out Hangnail, Bleach, St Germaine and American Hi-Fi as groups he listens to nowadays. "We've even got a little En Vogue in here," he says. "That's the one thing I really love about the band. [The diversity of our musical tastes] really comes out in our music." Though the band has existed in several different configurations since its birth seven years ago there have been about five member changes during that period, and McNevan is the only remaining founding member they seem to have hit their stride with two celebrated indie recordings and may be poised to take over as the biggest thing to come out of Canada since Macintosh apples. Want proof? A radio station near their hometown of Peterborough, Ontario recently named them the "band of the millennium." 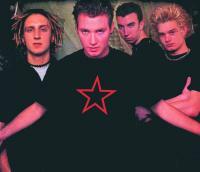 Krutch, which came together mainly through youth groups and various music circles, have enjoyed considerable radio success both at home and abroad, and has shared the bill with major Canadian mainstream acts Treble Charger, The Tea Party, The Matthew Good Band and several rap artists. They also joined the Newsboys and Jake in June for part of the former group's Cross Canada Tour. I'm a songwriter: precisely Christian songs. I need a Christian music producer, who would help me produce some of my songs. I'd appreciate a positive response from you. I unfortunately missed Toby Mac and Capital Kings play Ottawa a couple of weeks ago and have learned that Tim Neufeld and the Glory Boys are playing Ottawa the 12 Nov. I would like to see some Rock Bands play Ottawa!! When are we going to see Thousand Foot Krutch come home and play Peterborough or Ottawa!! I miss listening to great heavy metal rock or nu-Metal or for that matter anything that the singers are Christian. I don't want to label groups as Christian Metal cause that would not necessarily draw a wide berth of people but .... why can't P.O.D. play Ottawa!!! C'mon Man - Bring us the bands!!! DEFINITELY missing Starfield! One of the best worship bands out there!!! Did you ever Live in Ga. Did you ever know a girl named Annette Coffey. Greetings in the name of our Lord Jesus Christ who ransomed us from our sins. Please I would like you to help me with Bible, some christian DVDs or CDs music and Books etc. Even I would like to hear your voice please call me now.